Many people believe that concrete is simplistic. After it has been laid and dried, the job is done. This is truly a misconception. If you want to get the most out of your money, you may also want to consider sealing the concrete. This may require a few additional steps, but it can make a big difference in the long run. So, what exactly is concrete sealing, how does it work and why is it important? You’ll find the answers to these questions below. Many homeowners have never heard of concrete sealing. What is this procedure and what does it do? A sealer is a type of compound used to protect the concrete from Mother Nature and the elements. Concrete is porous. If it is not sealed properly, it will be allowed to breathe freely. It will also be allowed to absorb water and this could lead to major structure and even aesthetic problems in the near future. Sealers should be applied to the concrete to protect it from future problems. Over the years, concrete sealers have gone through an evolution. In the early days, they were made commonly from wax and linseed oil. The best concrete sealers on the market today are capable of stopping 99% of all surface moisture. There are two types of sealers used today. They include topical and penetrating sealers. Both will be explored in greater depth below. Penetrating Sealers – These sealers can be applied to damp or dry surfaces. Penetrating sealers need to be matched with the right substrate porosity to ensure that penetration is achieved. After the sealer has been added, a chemical reaction will take place. This will cause the active ingredients to bind together, while allowing the substrate to stop surface moisture. Penetrating sealers are invasive, because they usually do not change the appearance or traction of the concrete. Typically, a good penetrating sealer will last five years or longer. Topical Sealers – Topical sealers are a little different. They’re capable of serving numerous purposes simultaneously. For instance, they can enhance the appearance of the concrete, while also protecting from chemicals and stains. In order to use topical sealers, your concrete surface will need to thoroughly cleaned and dried. Finding the right sealer for you shouldn’t be difficult. 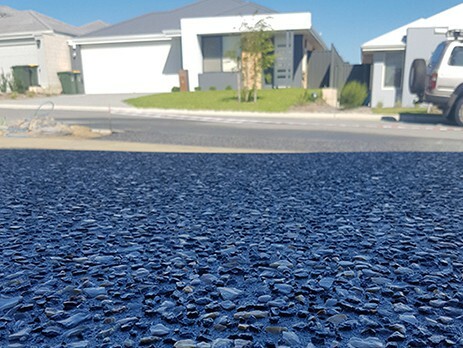 If you are not worried about enhancing the appearance and prefer a rough surface with plenty of traction, you should go with a penetrating sealer. If you want to enhance your concrete’s appearance, a topical alternative will be best. Concrete sealers not only make your concrete more resistant to water, grease, and oil stains, but they actually bring out the natural beauty of your concrete as well. With that being said, you must know that you can’t just simply apply the sealer and expect it to work wonders. The sealer not only has to be applied in a certain manner, but the surface must be properly prepped and ready for the sealer. Depending on the type of sealer that you are using the guidelines, preparation instructions, and application process might be different. With that being said, below you will learn about the basic process for prepping and applying sealer. Surface preparation is without a doubt one of the most crucial and important steps that must not be overlooked. During this process all oil, dirt, dust, and grease stains must be removed from the existing concrete surface. If oil, dirt, dust, or grease stains are not completely removed the sealer will not be able to properly adhere to the surface. Some manufacturers will even go as far as recommending that you remove all other traces of existing sealers if you have applied a sealer in the past. Once you have completed the preparation process you will be ready to start applying the sealer. Ensuring that you are using the right tools will be crucial when it comes to achieving the maximum thickness and best coverage rates. 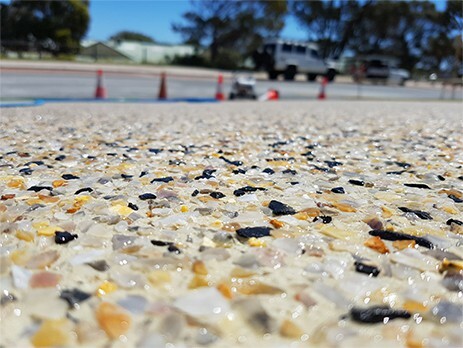 There are two different methods in which you can go about applying your sealer, and depending on the type of sealer that you are using only one or the other may only be suitable. Always refer to your manufacturer’s instructions to see which is recommended for you. The two different methods are rolling and spraying. When applying you should always keep in mind that less is more. Applying two thin coats is much more desirable and will provide better results that applying one thick coat. When applying the second coat make sure that you apply it in the opposite direction that you applied the first coat. For instance, if you worked from left to right applying the first coat make sure that you work right to left when applying the second coat. Prevention of freeze thaw damage is one of the main reasons why concrete is sealed. This occurs when rainwater penetrates the concrete and freezes. When this happens, the concrete will expand as the rainwater begins to freeze. A high-quality sealer will prevent the water from penetrating into the concrete, therefore preventing free thaw damage. An unsealed concrete can sometimes look unappealing, even if it is decorative concrete. A good sealant will not only enhance the gloss and colour of the decorative rock, but also improve the overall appearance of the concrete. If you have a concrete walkway in front of your home, you will definitely want to apply a layer of sealant. By doing so, you will be adding curb appeal, which is very important to most homeowners. Extending the life of your concrete patio, walkway or driveway should be your primary concern immediately after placement. By applying a layer of sealant on the surface of the concrete, you will be ensured of a longer service life. The sealer will protect the concrete from exposure to the elements and prevent stains and fading. If you fail to seal your coloured concrete walkway, in several months you will begin to see a white powdery residue appear on the surface. This is known as efflorescence, which can alter the colour of the concrete. This can be extremely difficult, if not impossible to repair. If you want to guarantee that your money has been spent wisely, you should definitely seal the concrete!